I have personally used OHMConnect for a while now and I get regular payments. 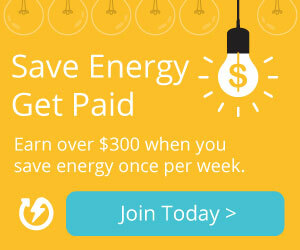 Receive payments for saving energy per your residence. Even average sized residences can earn $200 a year. OhmConnect is a service designed to offset the effects of dirty power plants by alerting users when you should save energy. Users receive $100 – $300 per year! Once you create your account link your electricity provider account. Its really easy to do! You will get $10 once you complete your profile! This is available for California and Toronto residents. Plus you can refer your friends and earn even more money! This entry was posted on Tuesday, March 12th, 2019 at 8:29 am	and is filed under Free Gift Cards and Money, Free Samples for Canada. You can follow any responses to this entry through the RSS 2.0 feed. Both comments and pings are currently closed.